Pallet live is the perfect system with high density storage of larger volumes of palletised products. Pick and dispatch rate it is often used in manufacturing facilities where fast pallet dispatch is required. Gravity rollers are set at fixed gradients. When a pallet is taken from the picking face, the next pallet rolls into position. Replenishment stock is loaded at the opposite end of the lane. Pallet movement is regulated by brakes, speed controllers and pallet separators fitted within the roller tracks. 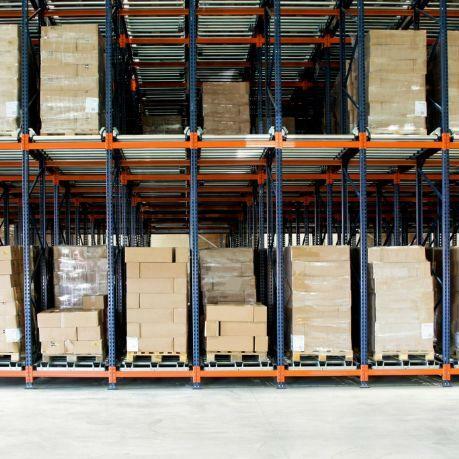 Combining FIFO with high density storage for palletised loads. 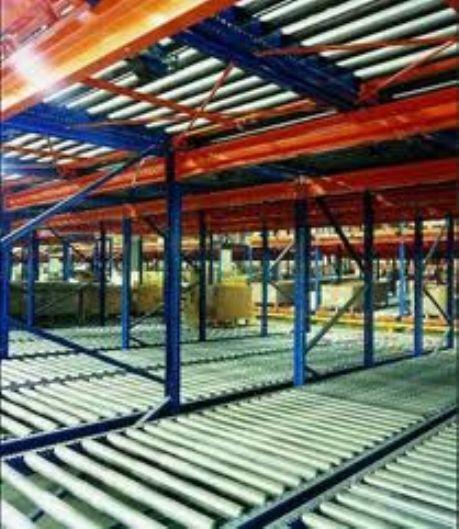 Dynamic live storage racking provides automatic stock rotation. Pallets are placed on the rear of the pallet live block on each lane. They roll forward in a controlled manner on braked roller system and come to rest on the front edge ready to be picked. Once the pallet is picked it allows for the second pallet in that lane to be roll forward again in a safe manner ready to be picked. This allows a very fast pick rate ideal for the fast loading or unloading of waiting wagons or dispatch of products when warehouse space is at a premium. 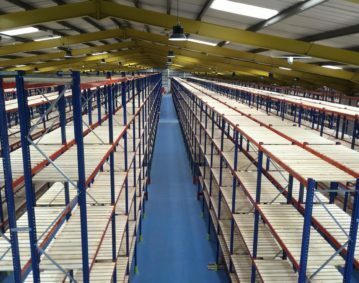 If you require an efficient storage solution with automatic stock rotation then pallet live storage is the perfect option. To find out more about this type of storage, and to book a free survey, contact us today.